This week, a 70-year-old grandmother competes for the coveted title of “Dance Machine” and $100,000 in cash. Friday, July 18, 8 p.m. This week, a cowboy, a hairdresser and a cheerleading coach compete for the coveted title of “Dance Machine” and $100,000 in cash. This week, a cemetery attendant, a farmer and a chemistry professor compete for the title of “Dance Machine” and $100,000 in cash. Ordinary people who are extraordinary dancers will mambo and jive for cash and a coveted title in the biggest dance party of the summer, Dance Machine, airing Fridays at 8 p.m. ET/PT on “A” beginning June 27. 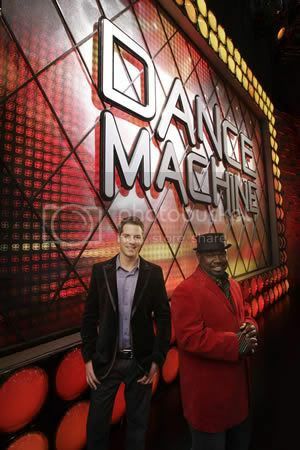 Hosted by popular entertainment news correspondent Jason Kennedy, Dance Machine is full of outrageous pairings, including a 70-year-old grandmother who faces off against a 25-year-old gravedigger to the tune of Michael Jackson’s “Thriller”. Each week, six people from all walks of life will try to out-dance each other in a series of one-on-one competitions set to the most popular songs of all time. Throughout the night, contestants will be eliminated by voters in the studio audience. By the end of the evening, just two finalists will be left to challenge each other for the honour of being crowned that night’s Dance Machine – and to take home the $100,000 cash prize. Jason Kennedy of E! News hosts this new reality competition in which amateur dancers compete for big bucks. Each episode features six real people from all walks of life who will face off in a series of one-on-one “dance-offs” to the most popular songs of all time. Throughout the night, contestants are eliminated by voters in the studio audience. By the end of the evening, just two finalists will be left to challenge each other for the honour of being crowned that night’s “Dance Machine” and awarded with $100,000 in cash.